Do you know why our ancestors were in good shape most of their lives? A major reason behind their fitness was walking. The benefits of walking are many, but advancement in technology (escalators/conveyor belts), automobile advancements, modernization and an overall lack of time has forced us to neglect this simple act. Walking used to be a part of daily routine, but now its merely a mode of losing calories and exercising. But is losing calories the only benefit of walking? Definitely not, there are several important benefits of walking. Here is the list. 1] Releases stress and lifts your spirit – Walking allows you to inhale more oxygen and helps in releasing endorphins (the good mood hormones). A study published in the Annals of Behavioral Medicine shows lower levels of stress in students who walk regularly. While those who do not walk regularly have higher stress levels. 2] Reduces the risk of heart disease and stroke – Walking has an overall protective benefit for your blood vessels. It improves blood circulation and clears them from of bad cholesterol and clots. Another major benefit of walking is that it helps in increasing the good cholesterol, thus reducing the risk of cardio-vascular diseases. 3] Improves mental ability – The National Council of Ageing conducted a study and concluded that 45 minutes of walking a day sharpens the mental ability of the person and boosts his brain function, alertness and concentration. 4] Helps in maintaining blood sugar levels: Diabetics can avail special benefits of walking by adjusting their walk time according to their blood sugar levels. For those individuals who have higher post-prandial (after meal) blood sugar levels, it is advisable to walk for 10 – 15 minutes after every meal. While those who have higher fasting blood sugar levels, it is advisable to walk during late evenings. This helps in controlling the overnight hepatic output of blood glucose. 5] Reduces impotency in men – A study published in the Journal of the American Medical Association said that walking for around 3.3 km (2 miles) daily helps in reducing erectile dysfunction and impotency in men. The effect was more prominent in diabetic and middle-aged men. 6] Reduces the risk of cancer: Walking helps in reducing the risk of cancers of the breast and the colon. One major benefit of walking for a cancer patient is that it improves their appetite. 8] Walkers have long lives: A Honolulu-based heart study that was conducted on 8,000 men found that walking just for two miles (3.2 km) a day cuts the risk of death due to illness by almost 50 percent. You are now aware of the benefits of walking. But to avail these benefits of walking, you must be motivated enough to start your walks and then make it a routine and continue it for a life time. Motivate yourself to walk. Obviously walking is more beneficial when its done in the morning, but if you are a late riser or lack of time is your concern, then don’t give up on walking just because of the time factor. Grab your walking shoes and choose a suitable place like a park / ground / terrace / parking or even road side and get walking at any convenient hour of the day / evening. Don’t forget to avoid these common mistakes during walking while you avail your benefits of walking. Kindly advice, I have high sugar level & its keeps on change to 140 to 160 according to their, approx how much walk time i required to keep my sugar level low. 30 mins walk will help in controlling blood sugar . if you are overweight , walk for 45 mins. I have been diabetic for 20 years: am 64 years old/ height 178cm/ weight 66kg ( down from 74kg). Please advise what I should do to increase my weight a bit possibly up to 70kg. Medication: Novomix 12 units per day/ Lantus 16 units per day. Exercise: alternate day yoga for 1 hour/ alternate day walking for 1 hour. Last Hba1c : 7.3( target fixed by diabetologist 7.5) in November 2015.
weight gain with diet is a little problem owing to diabetes, but ypou can increase you intake of egg whits , add a geriatric diabetic protein powder tto you soy milk and other foods this will help. which I need to check at least 1 hr at night. I have diabetic from almost 4 years and currently the level is something with empty stomach-150 and PP is 230 around. I use to walk 30 mins to 45 mins everyday (but not in morning with empty stomach). And have Zita met medicine. But I want to reduce my diabetic level and want to put some weight . currently m 74 kg (height 6’1”) and my lower portion is little thin. Can you please help.. I will be really happy to have your suggestion. I have mentioned my mail-id here so If you please mail me solution/diet chart I will be really happy. actually , the first thing you need to do is control your blood sugar levels . 28 is itoo young of an age to be suffering from diabetes. it is hard to help you without knowing your eating habits . but anywaz , because both your fasting and pp sufar levels are high , you are losing weightor not able to gain weight . walking for 20 – 30 mins in the evening / post dinner will help in getting rid of fasting sugar elevation. and walking for 10 mins after every meal will help you in controlling your pp blood sugar levels. once the sugar levels are controlled , we can focus on better eating and thus on gaining weight . 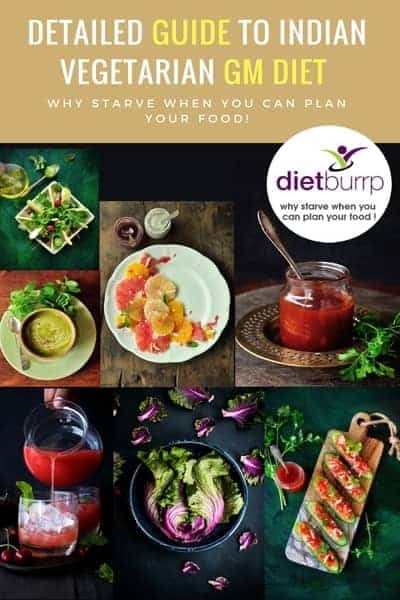 meanwhile you can refer the various diet charts we have on dietburrp for diabetes. and follow the tips . those diet charts are basocally for weight loss purpose , so you can have the mentioned foods in increased quantities. yes she should take walks. i regret to inform you that we have halted our diet services till feb 2016 and not taking up ay personalized program you can contact us after that. I m 35 my sugar level is fasting 110 and after meals i check was 125 and i vry much worried plz advice best suggestions how to get in normal level without medicane. https://www.dietburrp.com/type-2-diabetic-diet-plan-for-indians-1500-calories/ you can folow the diet plan and tips mentioned here . they should help. However , in case of diabetes a personalized approach is most useful . as the above mentioned diet and tips are genral advice . Hi mam, I’m monal from Angul Odisha. I got married from 2012. From that date I have faced 3times miscarrige under physicians supervision. After 3rd case we know abut my sugar increasement. My fasting sug-197& pp -290 which is report of 2 days before. Now I’ m taking Glycomet Gp 2.pl instruct something valuable to me. I am afraid , i cant prescribe you a general diet , and personalize diet plan needs to be made for your requirement. our diet services are halted for another month . hence i cant be of much help to you. please see a dietician and get a diet plan prescribed. mean while , if you are in the right weight , follow a 1500 calorie diet . 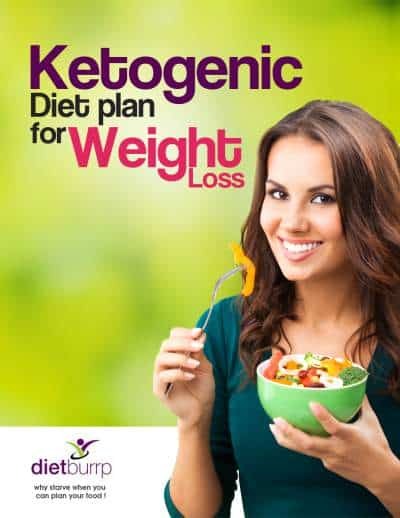 and if you happen to be over weight , you can refere our 1200 calorie diabetic diet plan. if you happen to be under weight , you can take advice from a dietician at the earliest . Hi mam,let me know that is this a point that diabetis patients are suffering from eaching/ gastric/body pain etc ? Yes this is common in diabetes . if sugar levels are high from over a long time , this hapens. please see a neurologist an try to keep ypu sugar levels near normal. I am 63 yrs old male. my pp is 200 to 260. i walk for an hour in morning and 45 mins in night. 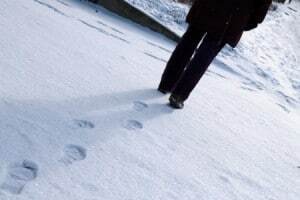 i take medicine and control my sugar but before last 4 days i sopped my medicine and walk for 2 times morning and night. please advice me your opinion. Thanks. sir , please mention your medicine names and dosages . also i want to know your blood sugar levels after stoping medicine and doubling the walkings. I am afraid , a diabetic has to follow a balanced diet . please see a neuropath . i will not be able to help you in this regard . sorry. I am 50 years old and sugar level pp is 200 and losing weight from lower portion, I do walk for 45 minutes a day and try to maintain on my diet. Please help to gain weight. I was 72 and now it’s come to 68 my legs look thin. Pls help. please provide your bsl and medicine details . do you mean your fasting blood sugar level is 130 ? yes it is high . a level of 126 is considered to be the mark of declaring diabetes . please recheck your levels and consult a good diabetelogist . If u can please advice good tips to control her blood sugar. By the way , i must tell you that every person should take care of his own health , every diabetic nedds councelling , where in they are told to monitor their monthly sugars and HBA1 C once in 3 months … the doctor does not repeat this every time . so i dont really see its the doctors mistake .. it the the patients and their family;s responsibility to make sure these tests are done on time , whether the doctor reminds you or not … please dont take me other wise but this is the fact ..
ayyoo claude … please provide complete information .. this BS level is fasting or pp ? Hi, My fasting blood sugar is 120 and PP 160 checked in Aug-16. Am I diabetic? Pl advise what precaution should I take or should I start taking diabetes medicine. Hello maam I m megha my fasting was 180 and post meal was 200 I am taking glysiphace sr 500 twice a day . I go for walk in the morning and evening still the sugar level has not com down , can I eat carrots. Hello Mam Myself NAVNEET and I am type 2 diabetic and thyroid too.My sugar level fasting 154 and random 200 approx. I am on medicine from DMC Ludhiana and my height is 178cms and they suggested 1800calorie diet plan.My present Wt is 111kg reduced from 115kg in last 30days.I go on walk in the morning for 0ne hour Dr suggest to reduce weight to have better control on diabetes.Please suggest some foods or what to do to reduce my weight to 98kg (12kg) .I am taking food supplement of forever to control weight. Medicine is 150mg thyroxin for thyroid and metformin hydrochloride 1000mg with gkimpride2mg and tenegliptin20mg and evening metformin hydrochloride 500mg with glimepride2mg and Atorvastatin and aspirin 75mg. The Vitamin D3 oral shoots sugar free every Friday in a week. The Forever Aloevira gel 6oml total 30 morning and evening each.Gin-Chia tablet 3times a day and garlic Thyme 1tab daily, from last three days. Hallo Mam, I have a PP of 152 and Fasting 93. My self have high blood pressure also(taking medicine). what type of diet should I followed.